Geology Morainic drift over Hardraw Scar Limestone. Record Name How Hill, Whitbecks. Undated earthworks and the four How Hills of Swaledale. Record Description Large sub rectangular â€˜tel-likeâ€™ mound in pasture slighted by a series of medieval strip fields. Much stone either in situ or brought to the surface by ploughing. The nature of the original structures cannot be determined visually. However there can be no doubt that How Hill, Whitbecks was the location of an early settlement or multiperiod structures including a possible barrow. Other earthwork features in the vicinity of How Hill Whitbecks and visible on the two photographs include: 1. A prominant burnt mound, (Sweat house saunas of Bronze Age Date) one of two at spring rises here. 2. Small stone cairns and irregular field banks of bronze age character. 3. 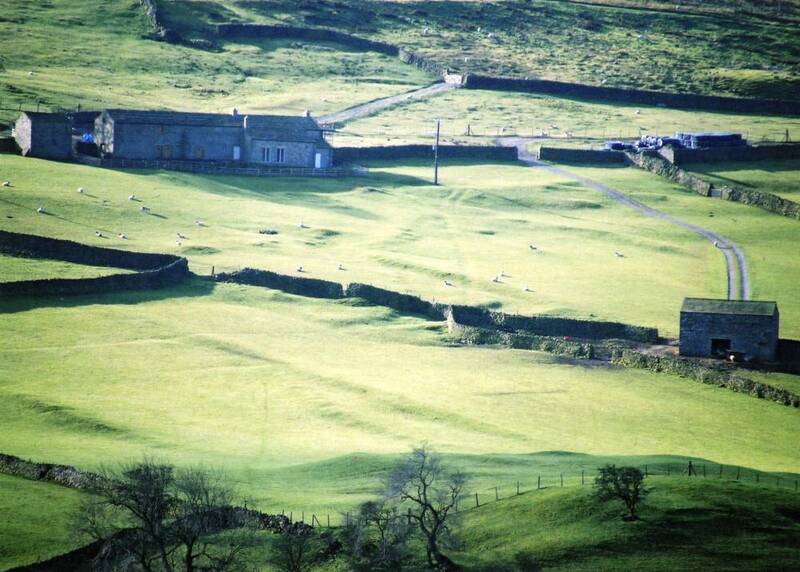 A curvilinear enclosed platform settlement, a small farmstead of Prehistoric Iron Age character (with visible round houses, one below a sheepfold). 4. Lynchetted cutivation terraces, strip fields and stone banked field boundaries. 5. The rectangular house platforms of medieval Hercay. The Four How Hills of Swaledale. The term 'How' can refer to a burial mound (usually of Neolithic or Bronze Age Date, for example How Tallon, the round cairn on Barningham Moor. Alternately How can be applied to natural barrowlike hills or natural mounds with archaeological eathworks. 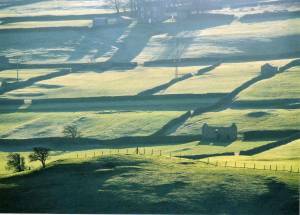 There are four How Hills in Swaledale, all have been modified as settlements by archaeological earthworks. The remaining three How Hills are... ?? Use your localknowledge or look below. Additional Notes The How Hills of Swaledale are: 1. How Hill Downholme. How Hill Downholme is the prominent isolated hill which commands the entrance to Swaledale from Downholme Valley. The remains of a bank and ditched univallate hill fort survive on the northern perimeter of the summit. 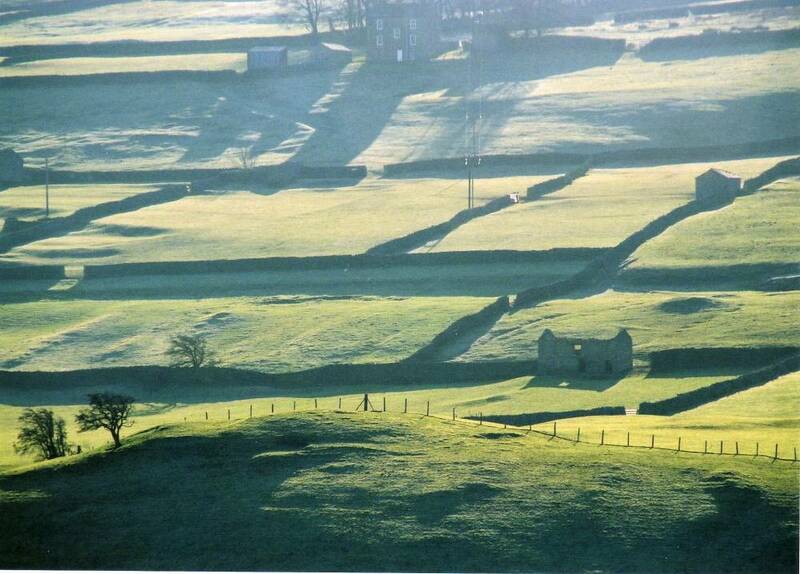 This defensive feature is overlain by medieval strip lynchets on the remaining three sides. 2. How Hill, Grinton. The (two) How Hills below the bridge at Grinton are the remains of a terminal moraine which marked a pause phase of the retreat of the Swaledale Ice. The ice dammed lake, one of five such lakes recognised by Arther Raistrick in Swaledale, has formed terraces on both sides of the flat river flood plain upstream to: 3. How Hill, Low Whita. How Hill, Low Whita is located above Scabba Wath Bridge and is also the remains of a terminal moraine. The remains of a narrow ditch or possible palisade slot are visible on the upper perimeter of How Hill, Low Whita defining a defended settlement of unknown age. Image 1 Description How Hill, Whitbecks. Multi period earthworks, for explanation see text.. Image 2 Description How Hill, Whitbecks. Multi period earthworks.